One of motor racing’s most accomplished rally drivers and administrators is being recognised by the University of Ulster today. 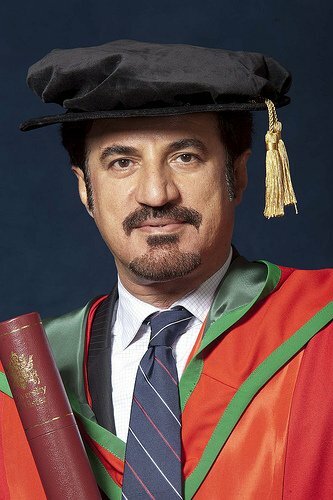 Mohammed Ben Sulayem, a role model for young people across the Arab world, will receive the honorary degree of Doctor of Science (DSc) in recognition of his services to sport, civic leadership and charity. In a record-breaking rally driving career, Mr Ben Sulayem won the FIA Middle East Championship 14 times before retiring from the sport in 2002. President of the Automobile and Touring Club of the UAE, he was the first Arab elected to the FIA World Motor Sport Council and the first named FIA Vice-President. He has pioneered education within the FIA via links with a range of universities to provide education and training opportunities for members of the motorsport community. Mr Ben Sulayem is patron of numerous charities, including Save the Children and has presented a modern and progressive image of the Arab world by promoting many other good causes, public service and education.